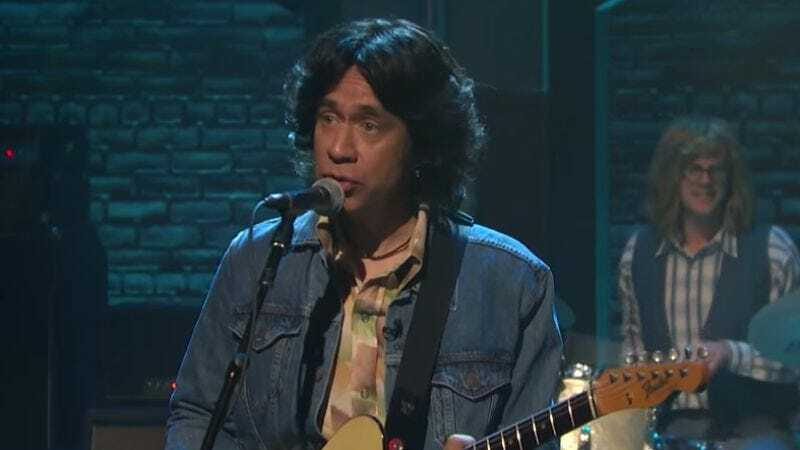 Joining the ranks of such semi-fictional musical outfits as Spinal Tap, The Rutles, and Orange Is The New Black’s Sideboob, Bill Hader and Fred Armisen’s fake band The Blue Jean Committee will be straining the words “fake” and “band” to their breaking points by releasing a new seven-song EP. Presented as a soft rock group from Western Massachusetts, the group first appeared on a Saturday Night Live sketch as a local lounge act with aggressively specific lyrics. But now they’ve broken nationwide, appearing on Armisen’s normal musical home, Late Night With Seth Meyers, and starring in the two-part finale of the duo’s upcoming IFC show Documentary Now!. To celebrate their sudden cultural resurgence, The Blue Jean Committee has announced the November release of Catalina Breeze, a seven-song album containing chart-burning tracks like “Walking Shoes,” “Mama You’re A Dancer,” and of course “Gentle And Soft.” The album is being produced by Drag City, which also released Armisen’s Hometown Heroes series of 7” vinyls, all featuring singles from fictional bands the Portlandia star helped come up with while he was working at SNL.